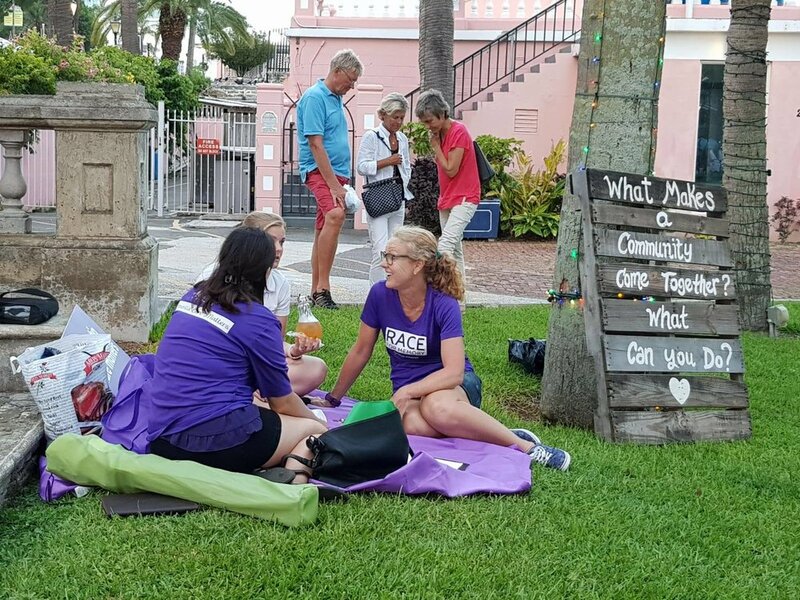 Local community groups #WalkTogetherBermuda, Imagine Bermuda and Chewstick Foundation and the Chamber of Commerce honored Nelson Mandela’s dedication to making the world a better place. 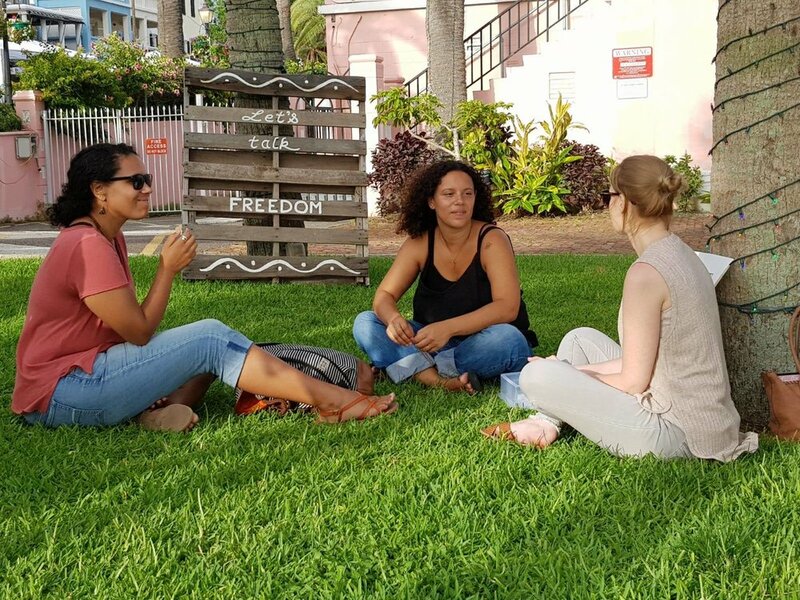 Local collaborators joined the global celebrations of Mandela’s Centenary with a meaningful event upholding Mandela’s legacy of dignity and freedom for all. The event was held on July 18, 2018, beginning with a historic walk through Hamilton and ending at Harbour Nights at the No. 5 Car Park area. Community collaborators came together in the spirit of unity, offering 100 opportunities for service in honour of Mandela’s 100 years. The local organisations provided information and volunteer needs so that members of the public could sign up to help and “Pay It Forward” through their support and involvement over the next year. This initiative was offered with the idea of making every day, Mandela Day. The featured act at Harbour Nights, “Working Title” honoured this occasion by taking a moment in their set to sing Stevie Wonder’s adapted version of “Happy Birthday”. Joy Barnum and Indigo Adamson contributed beautiful solos to the evenings festivities.